Contagious is administered by the Operations team, some who work or volunteer out of Christ Church Dunstable and others who are stationed around the country. The Operations Team are responsible for managing everything to do with accommodation, bookings and payments, references, safeguarding checks, health and safety and such like to ensure each event runs as smoothly as possible to let the Teaching Leaders and SUS Leaders focus on the teaching and coming alongside the young people. 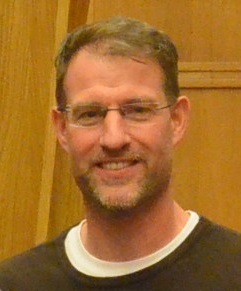 Nick became the full-time Contagious Director in 2016. 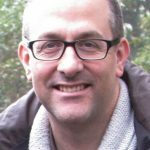 Nick has been involved in full-time youth and children’s ministry since 1997, working in churches in Chessington, Danbury and Beeston. He trained at Oak Hill Theological College and has been attending Contagious since its beginning in 2000. Nick oversees all things Contagious and aims to help Contagious continue to grow on a sound biblical foundation so that many more young people and leaders are prepared to live for Jesus. If you would like Nick to visit your church to inform you about the summer events of Contagious, then please let us know. Geoff has been married to Carol for 40 years and has a grown up family who have either benefited from Contagious in their youth or served as a leader. Geoff worked for a large motor manufacturing company for 37 years in various management/project roles before taking early retirement in 2012. He has been in membership at Christ Church Dunstable for many years and he is now pleased to be able to use his work experience for the benefit of Contagious as a volunteer, assisting in the administration of the Contagious events. Dudley is married to Katrina and lives in Dunstable with their two children who are both Contagious regulars who look forward to returning each year! Dudley has worked in the financial world for 19 years, most recently as a commercial manager with a well known high street bank, before ill health forced him to stop working. As a long-time member of Christ Church Dunstable, he is pleased to be able to volunteer to help with the financial administration of Contagious. Lisa is married to Mark and has 3 children and 2 step-children. She and Mark are members of Christ Church Dunstable, where they help lead a Home Group and where Lisa is involved in leading Bible studies at Women@ChristChurch. Lisa trained and worked as a primary school teacher but the older she gets the more she prefers to work in admin with a computer!! She works part-time in the Christ Church Dunstable office helping to coordinate Contagious and is involved in some of the design work. 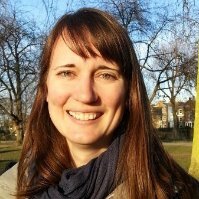 Amanda is experienced in safeguarding matters and Christian counselling and she leads our work in processing leader applications, obtaining DBS/PVG checks and administers the collection of references. Zach volunteers for Contagious and looks after the administration responsibilities for running Contagious Max Scotland/North and Contagious Go Scotland/North. Tara volunteers for Contagious and looks after the administration responsibilities for running Contagious Max Central and Contagious Go Central.